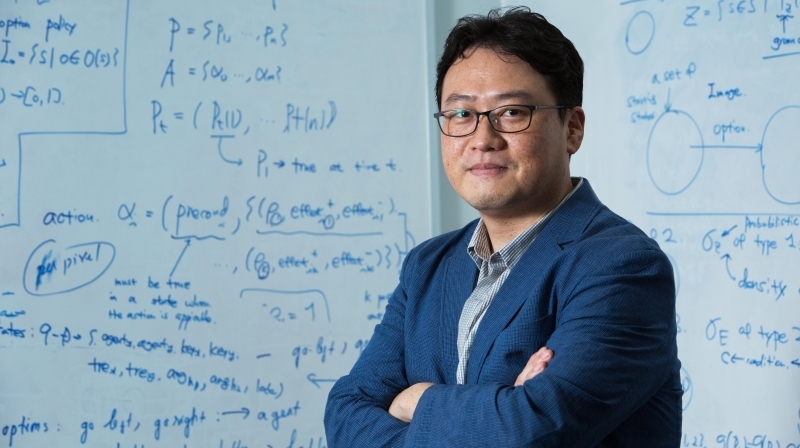 Prof. Jaesik Choi is researching about the artificial intelligence. Artificial Intelligence will change the life styles of human. UNIST Faculties are researching about Artificial Intelligence to contribute to a society. Prof. Jaesik Choi (School of Electrical and Computer Engineering) researches about the artificial intelligence at UNIST. His team is studying about the automatic statistician which is available to predict and analyze the stock market. The automatic statistician is an artificial intelligence system that analyzes each element and these elements influence the stock market automatically. Artificial Intelligence could be very useful since it does not get affected by emotions or atmosphere compared to human. Prof. Choi says, “Artificial Intelligence technology can change our life styles. Especially, it is an important technology to a place like Ulsan Metropolitan City since it is focusing on the manufacturing business. At UNIST, Prof. Jaesik Choi, Prof. Sung Ju Hwang and Prof. AuTsz-Chiu are currently studying about the artificial intelligence areas.